In The Well-Carried Rider workshop, we go into a unique study of the human head/neck/back connection as it relates to the dressage horse. The dynamic and fluid structure of horse and human in poise enhances the function and the aesthetic of dressage. 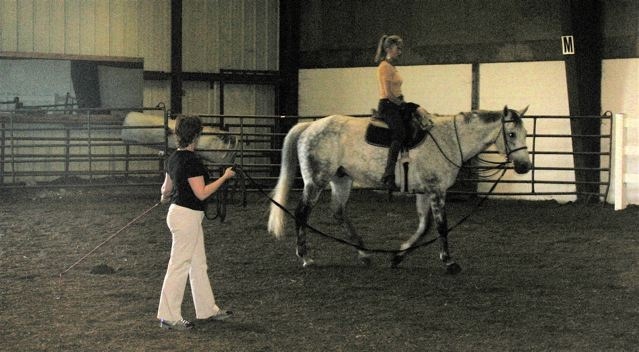 This workshop is designed specifically for dressage riders to take your understanding and kinesthetic sensation of relationship of your back to your horse’s back to a new level of connection. A typical weekend Well-Carried Rider workshop begins Friday evening with a basic introduction to how Alexander Technique principles align so beautifully with Classical Dressage Principles. I begin teaching some experiential work and we discuss how we apply it to riding. Workshops continue Saturday with a full day of practice on the ground and on the longe line. You explore movement and posture from the inside-out through sitting, standing, walking and lying down. You discover a new “way of going” by learning to go “through the back.” You learn to un-do tightness and tension so as to bring a freer coordination to the head/neck/back relationship. As we work on a wooden saddle horse, you practice releasing spinal compression and clarifying alignment and de-compression without the complications of a horse moving underneath. 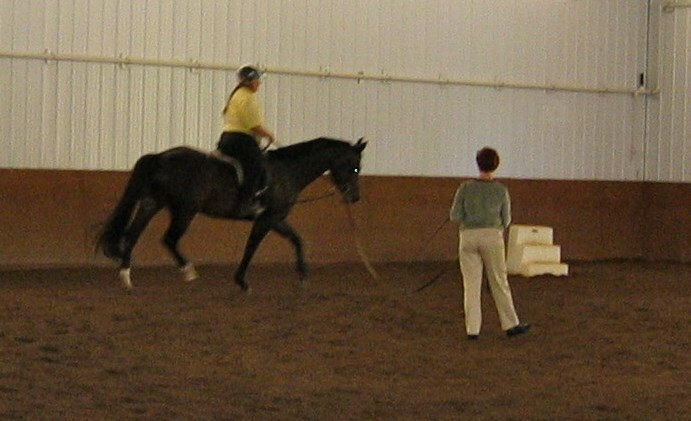 Progressing to the longe line, you practice these new skills with the movement of the horse. You have the experience of seeing how changes in your seat so clearly effect your horse. Finally on Sunday, all is reviewed and you have the opportunity to integrate new skills and knowledge while riding off the longe. Every rider receives plenty of individual attention and guidance from my hands both on the horse and off. 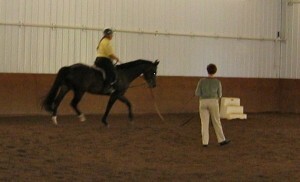 With the hands-on kinesthetic feedback, you experience unique awareness and ease that is unusual in a riding setting. Included in workshop materials is a workbook for ongoing at-home practices. If you are not fully satisfied that you have learned great new practical tools for improving your riding, you can have your money back!